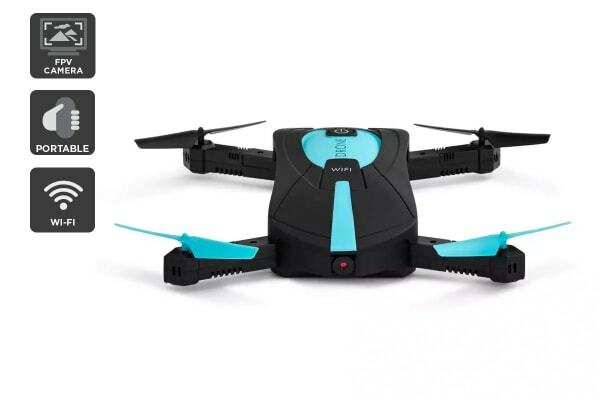 Take to the skies with this brilliant drone that is easy to take with you wherever you go. Moves up and down, side to side and flips! 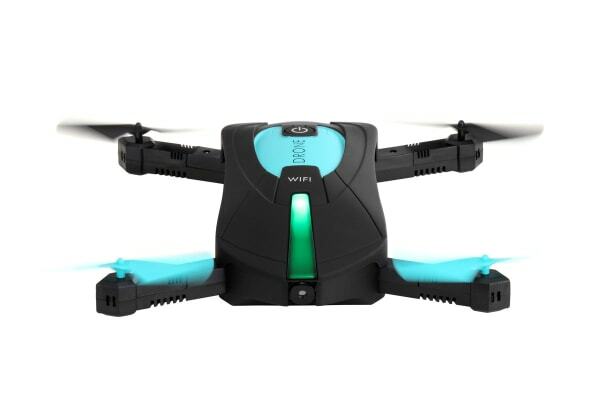 For the adventurers, the Foldable NightHawk Drone with FPV Wi-Fi Camera is the perfect companion. The slick exterior of the drone is bound to make an impression as it makes its way through the skies, and its foldable design makes it convenient to keep with you no matter where you go. Control the movement of your drone with the included remote, and see the world through the drone’s FPV Wi-Fi camera drone on your smartphone. 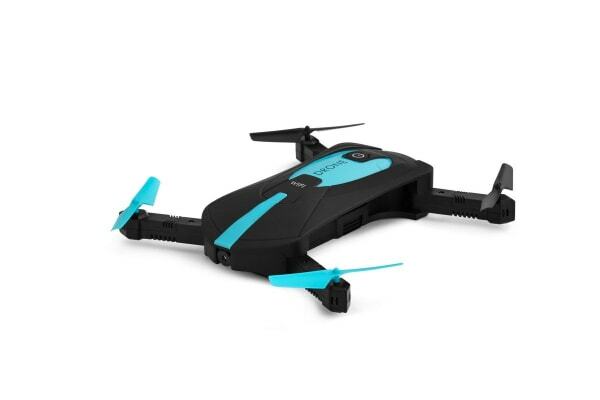 With altitude hold control that allows you to maintain a consistent height above ground, the Foldable NightHawk Drone provides you with an amazing, immersive experience as you navigate the skies. Keep your drone in the air longer with the Foldable NightHawk Drone Spare Battery.